Jeffrey Todd Edgeworth passed away on January 30, 2019 in Mesa, Arizona at the age of 35. He was born in Mesa on May 4, 1983, to Lowell and Susanne Edgeworth, the fifth of five children. Jeffrey was a gentle giant, in stature and in heart. 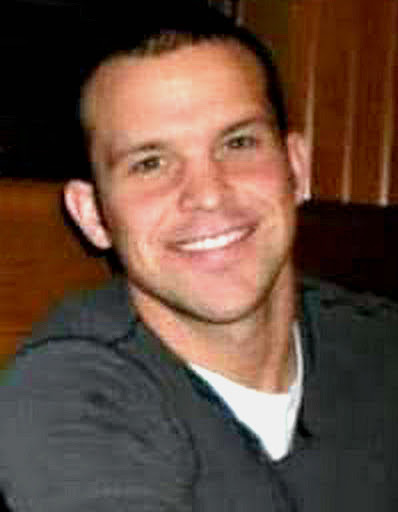 He played football at Mountain View High School and at Scottsdale Community College. Jeffrey also served from 2002-2004 in the Taejon, South Korea Mission for The Church of Jesus Christ of Latter-day Saints. He loved the people he served. He graduated from BYU Law School, Class of 2010. His great desire was to help and lift others, even through his personal grief. Jeff will be remembered for his infectious smile, bright mind and wit, strength, sense of humor, kindness, and goodness. To know him was to love him. Jeffrey will be sorely missed by all who knew him, and especially by his parents, Lowell and Susanne; his four siblings, Edward L. Edgeworth (Kristin), Trevin C. Edgeworth (Margo), Brian D. Edgeworth, and Allison Chatham; his eight nieces and nephews; and his extended family. The funeral service will be held at 10:00am on Friday, February 8, 2019 at the Stake Center of The Church of Jesus Christ of Latter-day Saints, 925 North Harris Drive, Mesa, Arizona 85203. A visitation will be held one-hour prior to the funeral service, at 9:00am. Bunker’s Garden Chapel is handling the arrangements. For more info, please visit www.bunkerfuneral.com. I am so very sorry for your loss. Such a handsome man. God bless. Our thoughts and prayers are with you. We are truly sorry for your loss. I went to law school with Jeff. He definitely lived the positive values described in this memorial, even in a setting like law school where it can be easy to be unkind or to lose focus on what’s really important. I am so sorry for your loss. I was in law school with Jeff and also played on his flag football team. Being new to the USA, I knew little about flag football, but Jeff was patient and taught me how to play. Jeff was an all rounder – not only athletic, but also intelligent and hardworking. It seemed like he was always studying in the law school library! Jeff was a good man. My deepest condolences to his family. I’m sorry for your loss. I went to law school with Jeff, and I was also privileged to be one of his MTC teachers before he went to Korea. I’m grateful for my memories of both those times in my life and for the example of his noble character and brilliant intellect. I considered Jeff a good friend. I could always rely on Jeff. It was not that long ago we were a lunch together – it seemed like he had never left the neighborhood. I will miss Jeff dearly.